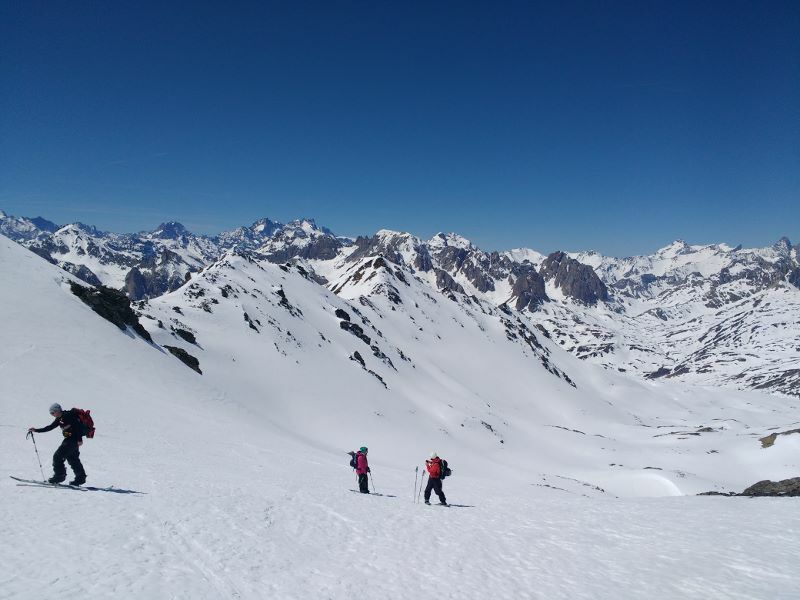 The Refuge des Drayeres in the Mont Thabor range is a superb base for a few days ski touring, with plenty of routes suiting beginners to experts. 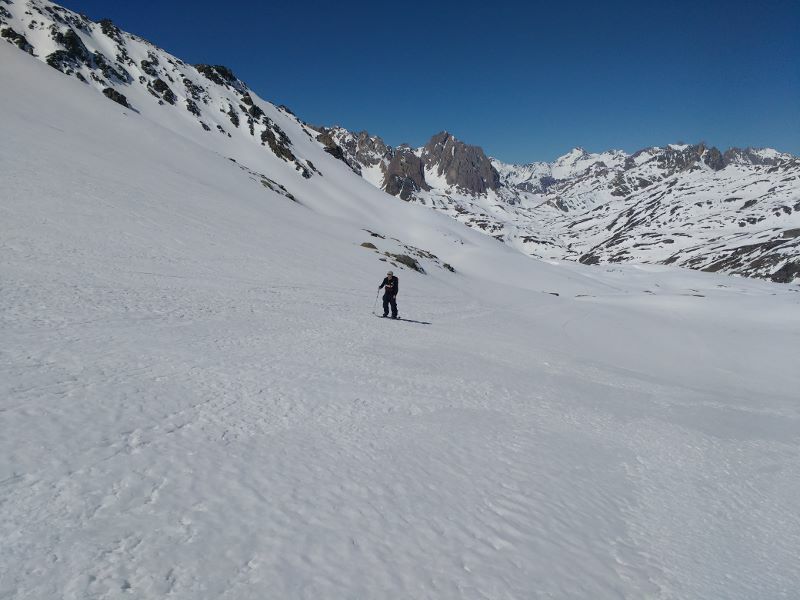 The Rocher de la Grande Tempête is the first tour I did from the Refuge on a visit in April with TipTop Ski Coaching. 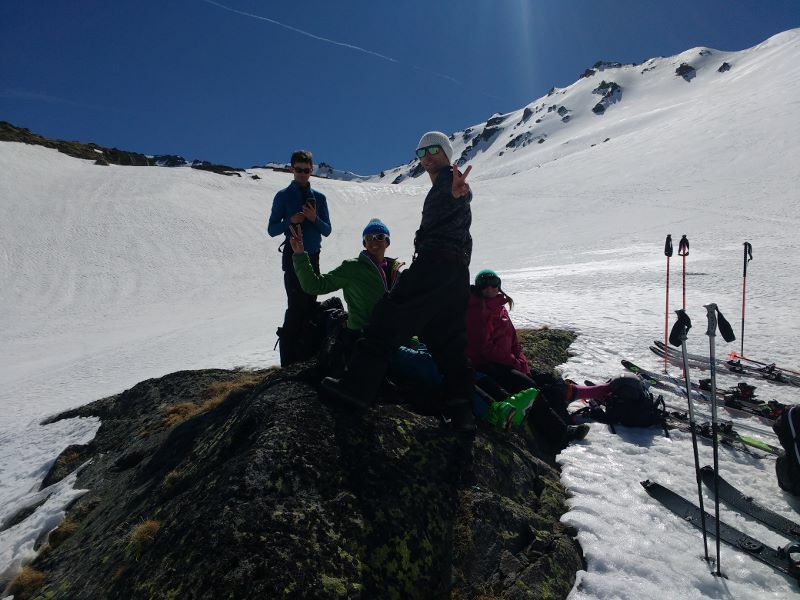 The route is a great introduction to ski touring for beginners, being straightforward except for the final few metres to the summit. The climb is a little over 800 metres vertical over several kilometres, and there are options to nip up peaks to the side to extend the day if you want. 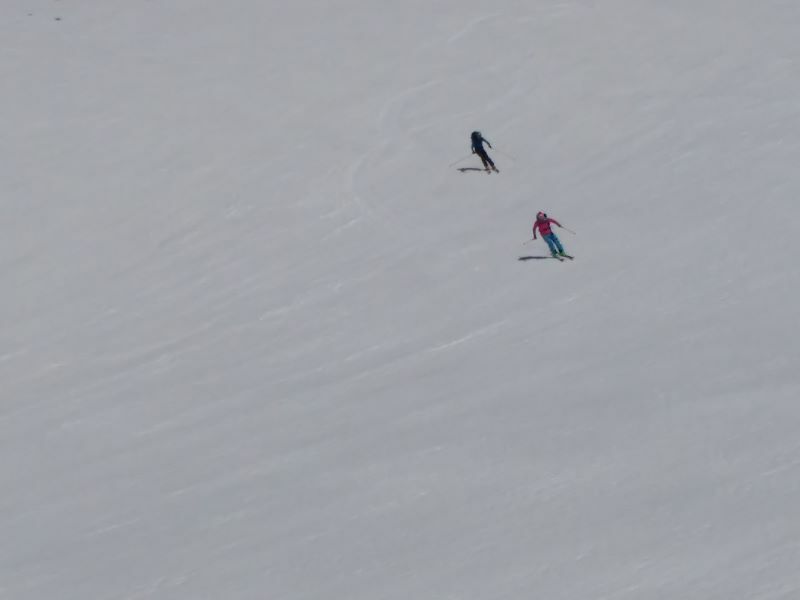 It is also possible to descend towards Nevache rather than returning the same way. The starting point at the Refuge de Drayeres is reached in two to four hours from one of the car parks above Nevache. The car park used, and hence the distance to walk, depends on the amount of snow on the road and how far up it has been cleared. We spent the night in the refuge at 2180m and set off the following morning around 8.30am. We had had a cold spell this April, so the snow was slow to transform and there was no need to rush. Under more typical spring conditions an earlier start might be worthwhile. The terrain in this area is very interesting for micro-navigation, with a lot of minor features. Small ridges snake across a rolling landscape of knolls and little lakes. The larger scale navigation is more straightforward as the route takes a broad, gentle valley with the peak at its head. A flat area with a few rocks makes a good spot for a break before the final steeper slope to the summit. 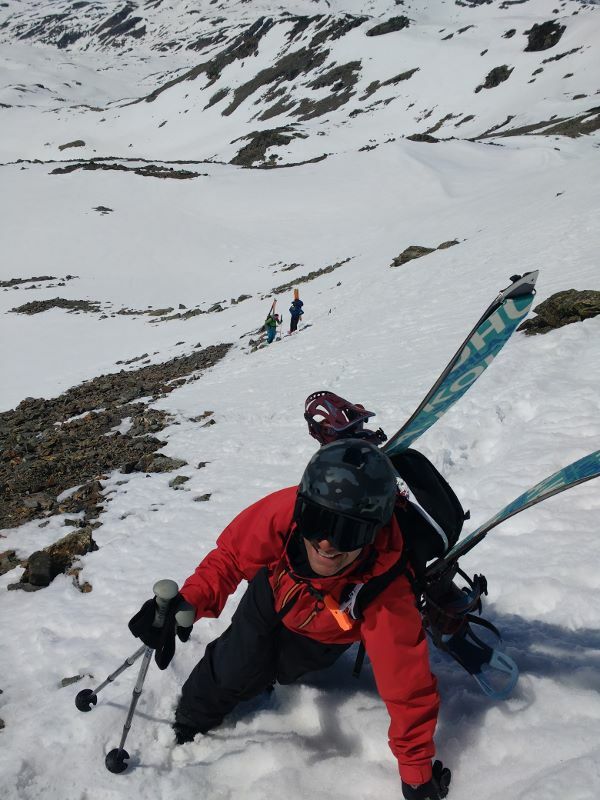 This slope reaches about 35 degrees, so might be considered optional for the ski touring novice. An alternative objective is the Col de Tempete, and crossing this leads to the south facing descent towards Nevache I mentioned earlier. The latter descent is a good option for returning to the car, but we wanted to return to the refuge for another night. We had lunch at the flat area, then bootpacked up to the summit before returning the way we had come. The gentle valley floor faces west so the snow tends to transform early in the afternoon. To the left there are a number of steeper north facing slopes which can be skied by traversing or climbing up them, depending how much time you have. Towards the end of the descent, keeping leftwards gave us a more interesting slope to return to the refuge on strips of snow between heather and scrubby trees. The entire ski down was on untracked and transforming spring snow, and we arrived back at the refuge more than ready for a well earned beer.